August sales on TREB were 6,800 units, an increase of 8.5% over August of 2017. Sales were also level with those in July which is normal in terms of seasonality. In terms of sales, we have definitely passed the bottom but of most concern is what does the fall market look like? ‘New’ listings in August were 6% higher than August of last year (more supply). Daily sales in the first ten days of September were also up by 4% over the same period in 2017 and are accelerating. 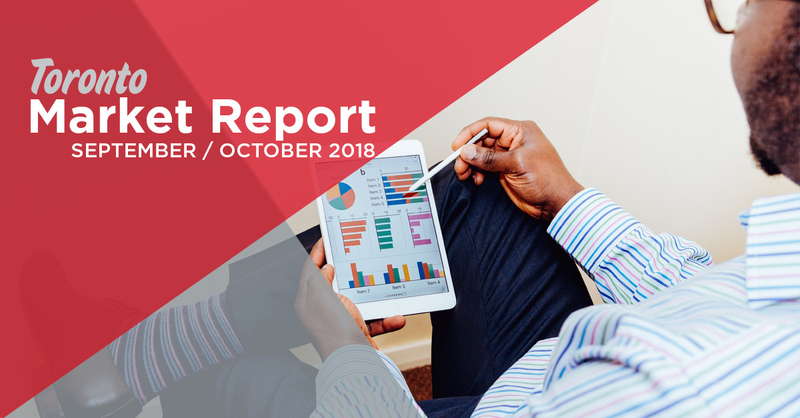 Our forecast of 7200 sales in September would be 12% higher than a year ago. But to reach our Annual forecast (revised) of 82,000 units, we need 7500 sales per month for the next three months! That will require no change in mortgage interest rates. 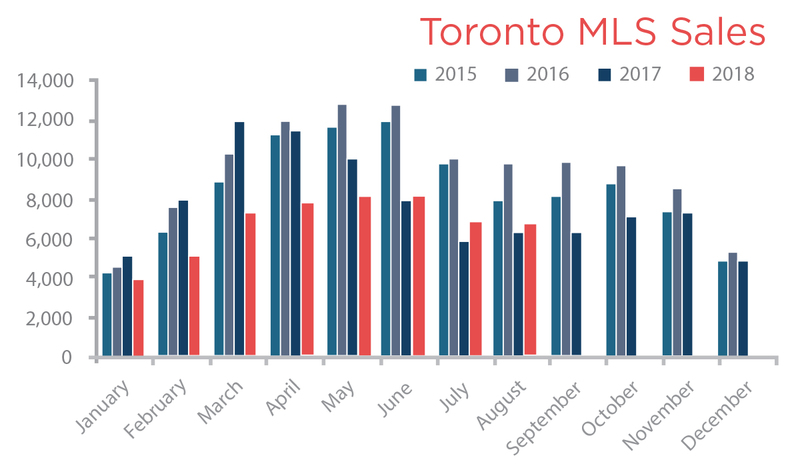 Turning to the condo market, overall sales were equal to August of last year. In (416) sales were down by 5.6% but up by 18.6% in (905). The downtown condo market had an even bigger decrease in sales for this August over last – 16.5%! In Humber Bay Shores, the drop in sales was similar – 15%. 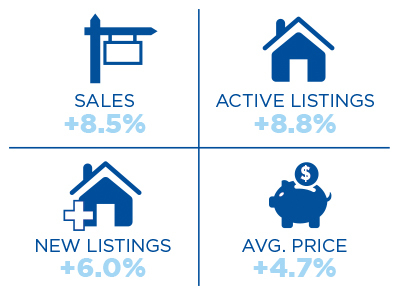 New listings for sale in both markets for August were unchanged from the same period in 2017. This suggests a continuing weakness in sales. It does not mean that people do not want to live downtown! We had an all-time record for rentals in August with over 1500 units leased – over three times the number of sales. The problem is that young people (first time buyers) with good incomes cannot qualify for a big enough mortgage at today’s condo prices. Either we revert back to qualifying first time buyers at the five-year fixed rate and not the ‘stress test’; or condo prices will need to level off as we wait for incomes to catch up. Our guess is that condo prices will level off. That could spell trouble for some new condo projects who are asking $1200/sf when the resale market is $800-1,000/sf. That is also a challenge for sellers who think condo prices are still rising. True, they are higher than last year but they have not increased since the spring! Based on the completion of new condos downtown over the past five years, one would expect the percentage to be much higher by 2018. This month we looked at sales at Sherbourne in St. James Town. This is a changing neighbourhood with prices lower than the west side of Yonge St. 500 Sherbourne is a 34 storey building with larger suites than the downtown core, ranging from 500 to 2500sf; with townhouses surrounding its base. It was registered in 2010. The first unit we tracked was a one bedroom plus den, with balcony but no parking or locker. To give you an indication of recent price appreciation with condos, it sold first in August of 2017 for $479,000 and twelve months later for $571,000. That’s a one-year increase of 19%! At 668 sf from builder plans, that’s a price of $855/sf. The second unit we looked at was a two-bedroom plus den with parking and no locker. On a high floor, it was bought from the builder in 2013 for $675,000. At 1280sf, that was an original price of just $527/sf. Given the size of the unit, the buyers renovated the unit and purchased a second parking spot and locker. They sold the unit this year for $1,025,000 or $800/sf. If you eliminate the improvements, the annual increase over 4.5 years was 9.5%. In a building of 363 units, there is currently only one unit for sale at an asking price of $825/sf. We had a record number of condos leased downtown in August. This is not surprising as September 1 seems to be the most popular date to move. As noted previously, over 1500 units were leased and we had a record number of studio units in the mix. This is probably because people who want to live by themselves can no longer afford a one-bedroom unit. Studios (without parking of course) are renting for just over $1900 per month. The entry point for the one-bedroom market is $2200 without parking. You can expect to pay $2400 with parking or the same $2400 for a den but no parking. At the top of the one-bedroom market – parking and a den – you will now pay just over $2800. My guess is that these units are now occupied by two people! The two-bedroom market without parking now starts at $3,000. At the high end of this market, the price is closer $3600. The three-bedroom market is well over $4,000 per month. How tight is this market? Days-on-market for leases is averaging 5 days. From personal experience, we just leased a one- bedroom for October 1st. We had 18 showings, and five offers in three days. It also leased above list price! We can’t say enough about how Government is destroying the real estate market. Tenants not moving out get an increase of 1.8% (even though property taxes, utilities, and condo fees are rising by 3-5%) and the landlord is not allowed to account for this. At the same time, available units are getting 10-15% increases over last year because of this artificially induced shortage.